Emmett’s Secretaries: B.A. Murphy – Tell my story. When I started tracking down Emmett’s secretaries, I didn’t know what to expect. Mostly I started looking for Emmett’s secretaries because I hit a brick wall with Emmett himself (there’s very little primary information from him). At present, I’ve found as much as I can about and from Emmett’s siblings and their descendants, and I’ve tracked down as many of Emmett’s close friends and their descendants as I can to-date. Still, I feel like there may be more to find about Emmett’s personal story — so what better source than Emmett’s support staff? The tricky part would be finding them. But if Emmett’s secretarial staff were good, they’d have kept attorney’s day books and office journals. It’s a long shot, but worth it to track these folks down. Where to start? Public records. 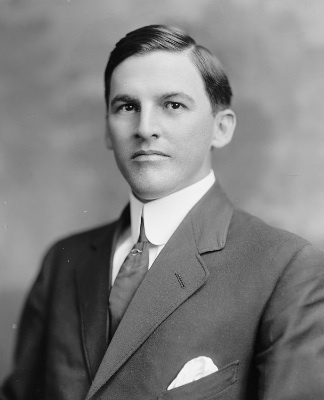 If you recall from an earlier post, Emmett moved to Pensacola in September 1906, after his disappointing tenure as Nick Van Sant’s law partner in Sterling, Illinois. At this point, Emmett was starting his career over, for the third time in as many years. But because Emmett was well connected, he didn’t have to wait long to find a good job. This good job came with administrative help. Because Emmett was basically given the job, he’d have been advised about whom to bring along as his top administrative assistant. According to the Annual Report of the Attorney General of the United States for 1909, Emmett’s administrative assistant was B.A. Murphy. But to be perfectly candid, when I first saw the secretary’s name, I immediately thought: Youngish fellow, probably didn’t go to college, wearing a dark suit. Despite my best intentions, I dug into the research with dreaded preconceived notions. And boy, was I ever WRONG! Rather, this is a portrait of an interesting, ambitious young woman who overcame major social and economic barriers that I take for granted in the 21st century to become a successful, independent woman. Meet Bertha A. “Bert” Murphy, 1876-1967. Bertha was lived and was educated in Roberts, Escambia County, Florida public schools. She graduated from high school (probably in Roberts, although I have not officially confirmed that to date), and went right into one of the few available/acceptable job markets for single young women in 1900: Education. The U.S. Census for 1900 lists Bertha, age 23, as a teacher in Roberts, Escambia County, Florida, and living in her parent’s home along with her siblings Gerald (a log-scaler), Pearl (in school at present, but who would later become a nurse-anesthesiologist), Clifford (a stenographer) and Ruby. Bertha’s father, W.H. Murphy, was a saw mill owner. Bertha was probably thankful she lived at home with her family, as public school teachers in Florida earned (on average) $5-10 a month in 1900, but Bertha had bigger plans for herself. She was smart and ambitious; there were bigger fish to fry in Pensacola, and that’s where we find her next, in 1906. Yep — that’s Maxwell and Reeves, as in, Emmett’s uncle, Judge Evelyn C. Maxwell. The same uncle who offered Emmett a job (or, at least a desk) in late September, 1906, when he moved back to Florida after the Illinois experiment. Emmett and Bertha, then, knew each other and worked together. She must have been a pretty damn good stenographer, then, for Maxwell to have (most likely) recommended Emmett offer Bertha a second job as his clerk when Emmett was made assistant district attorney in 1907. Bertha held down that second position as a clerk in the district attorney’s office until 1909. Additionally, per the Pensacola City Directories, Bertha continued to work as a stenographer for Judge Maxwell until 1910, biding her time, building her experience, making important connections. and, she dabbled in real estate. If Bertha made a $50 donation towards an important charitable cause (which is something she did for most of her life, by the way), she was able to pay the delinquent taxes on her property ($50 in 1911 is equivalent to $1,221 today). She was doing quite well for herself, thankyouverymuch. Fast forward eight years to May 18, 1919. Emmett has been dead almost a year. Bertha eventually moved back to Pensacola between 1924 and 1927, a full-fledged realtor. It’s unclear if she had much success in the lumber business, but she appears to have done well with real-estate. Bertha shows up in the U.S. Censi for 1930, 1935, and 1940 as a realtor, and residing with her mother and siblings at 1906 E. Strong Street. That’s all I was able to find about Bertha. She died in 1967, and is buried in St. John’s Cemetery in Pensacola, along with her siblings. I would love to find a photo of Bertha, or read one of her letters or journals — and I would love to find out if she had ever written anything in a journal or letter about her experiences working with Emmett.